Is The Alternative PepPet Professional Lithium Ion Electric Pet Clipper Able To Impress Experienced Groomers? The PepPet Professional Lithium Ion Electric Pet Clipper is a slick looking piece of kit, with its ergonomic shape, metallic look and a range of interesting features on board. This is a pair of dog clippers that seems set to go further than the competition. 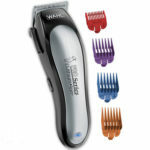 There are some great promises about the power and battery life, the quality of the blades and result of the cut. There may be some that are a little less sure about this model because of the brand PepPet is not being that well known compared to other dog groomers’ favourites like Wahl and Oster. Does this model prove to be a worthy competitor to these big boys? 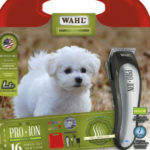 What benefits have buyers seen with this PepPet Professional Dog Clipper? 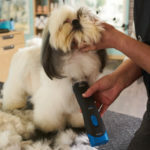 The first stand out feature in sales photos for this pet grooming device is the LCD screen at the bottom. This clear screen informs users of the charge status of the device and the time remaining. This is ideal for all those that are part way through a cut and don’t want the device to cut out on them in an inopportune moment. The other great feature here is that the lithium-ion battery is set to last for 1.5 hours, so most dogs should be finished before the charge runs out anyway. There are also positives in the quality of the blades and quality of the cut. 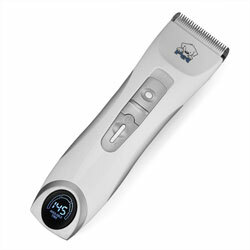 This system has a patented adjustable blade system that allows hair to be cut in 4 different lengths. This is great for those that have dogs with different coat types, or those looking for a show cut. There is also the promise that the combination of the ceramic moveable blade and stainless steel fixed blade allows for a sharper cut and a longer life to the product. There are great comments for all kinds of dog owners, even those with difficult coats to cut, like those of standard poodles. The blades cut with ease and there is minimal fuss. 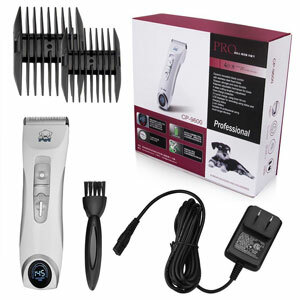 Are there any clear downsides to the PepPet CP-9600 Professional Lithium Ion Electric Dog Grooming Clipper? The wealth of positive comments across the board means that there is little for buyers to complain about. There are even a number of users praising them for the lack of noise. Minor issues worthy of a reduced star included the position of the off switch, which is where some users put their thumb, and the quality of the instructions. Other simply felt they had dealt with sharper blades before. 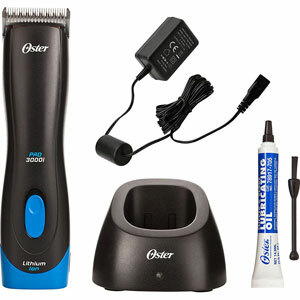 Summary: does all this positivity mean that the PepPet Cordless Lithium Ion Pet Clipper is highly recommendable? There is a lot here for groomers of all kinds to love. There is the sense that this is built for the professional groomer because of the strength of the blades, the life of the battery and the abilities to cut multiple coat types. However, this also means that it has wide appeal for amateur users too. 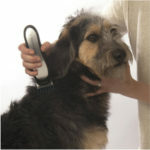 Many owners can get along with the PepPet dog clipper and be sure of a great cut. They are easy to use, quiet and seem to ensure a great cut on many dog breeds, regardless of the experience of the owner. Find more reviews about the PepPet Professional Lithium Ion Electric Pet Clipper on Amazon here.